Keep yourself cosy in these soft, luxurious fingerless mittens that have been knitted using a durable alpaca and lambswool blend by our skilled artisans in Peru. 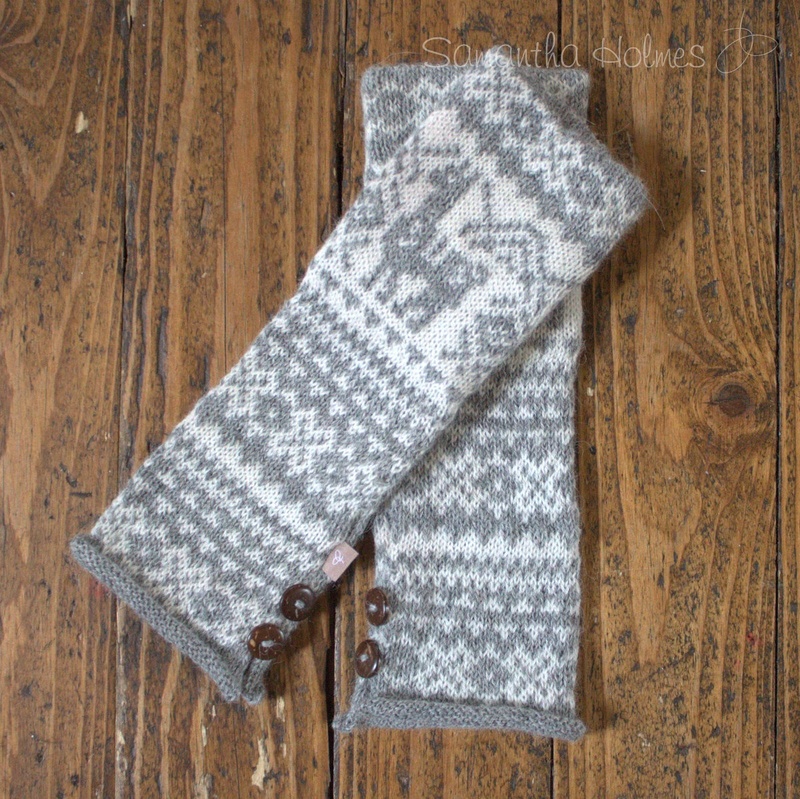 Fashioned with a thumb hole and 2 little coconut buttons at the wrist, the mitts have a distinctive fair isle alpaca motif. The 4 ply knit is doubled to 8 ply around the hand and fingers for extra comfort and warmth. Ideal for walking the dog and texting at the same time! Check out the matching fair isle beanie, pom pom hat or scarf. Samantha Holmes supports slow fashion, sustainable living and ethical trade.